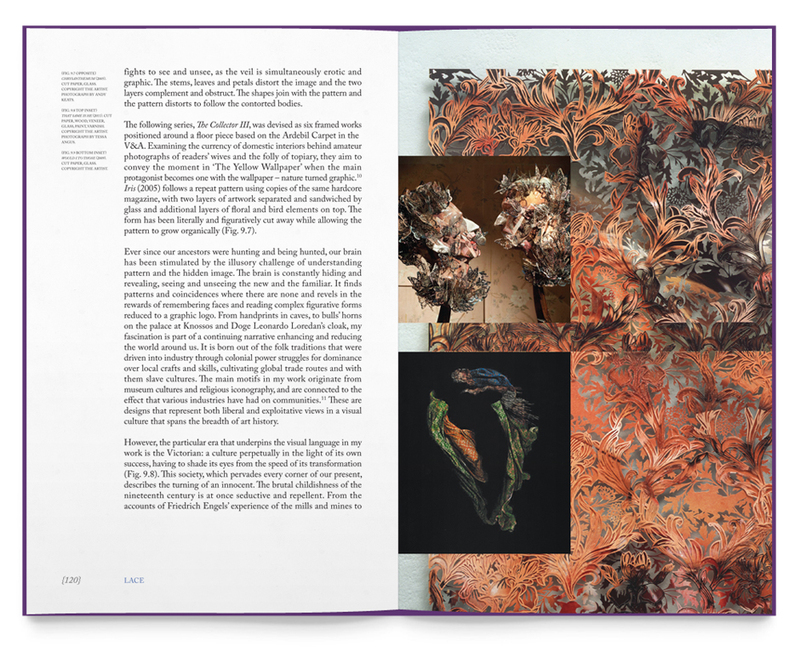 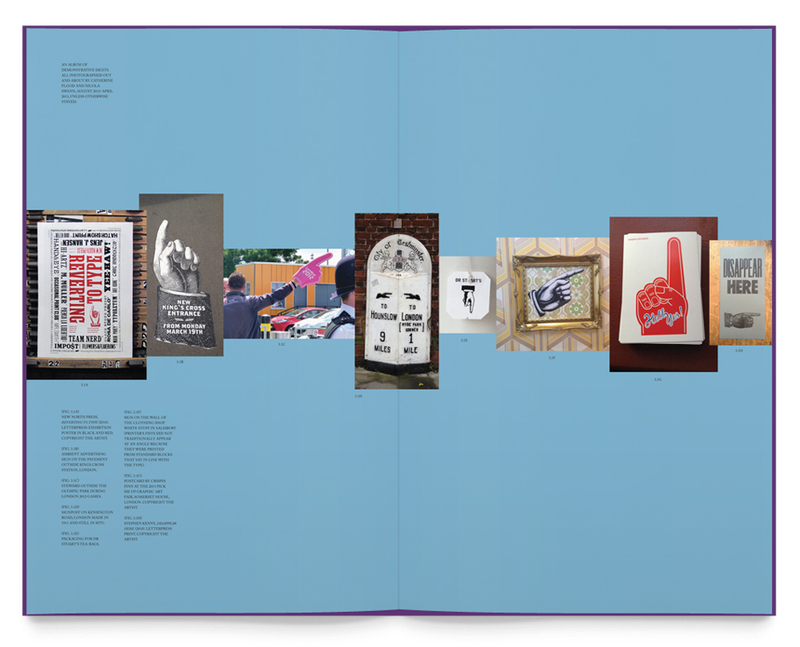 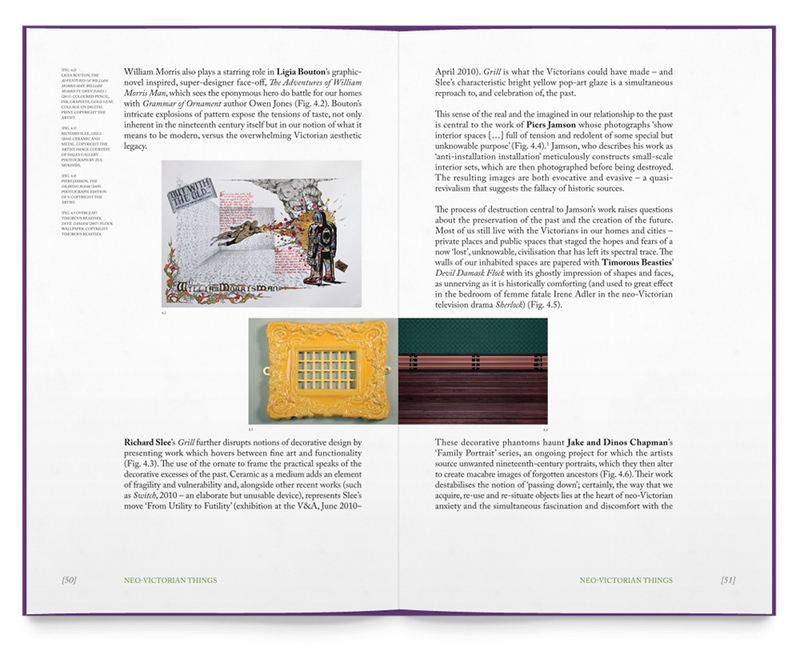 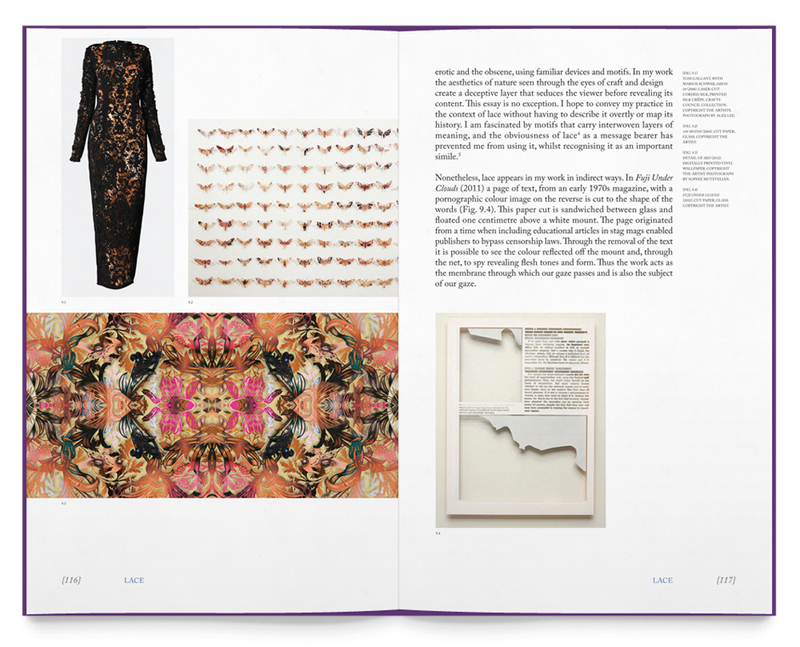 This exhibition is a ‘celebration of the art and design of the last twenty years, inspired by the nineteenth century’ and billed as a ‘multimedia, multisensory engagement with our vision of the past’. 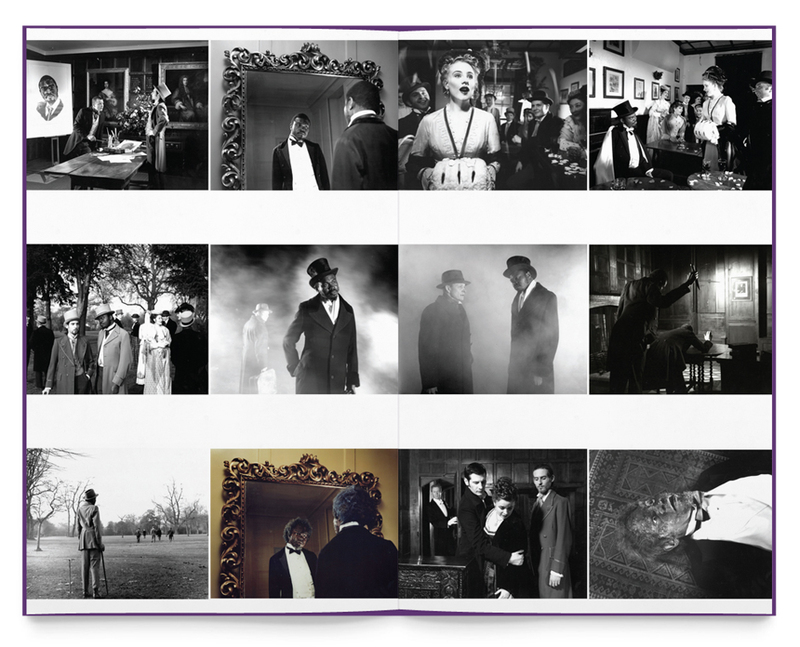 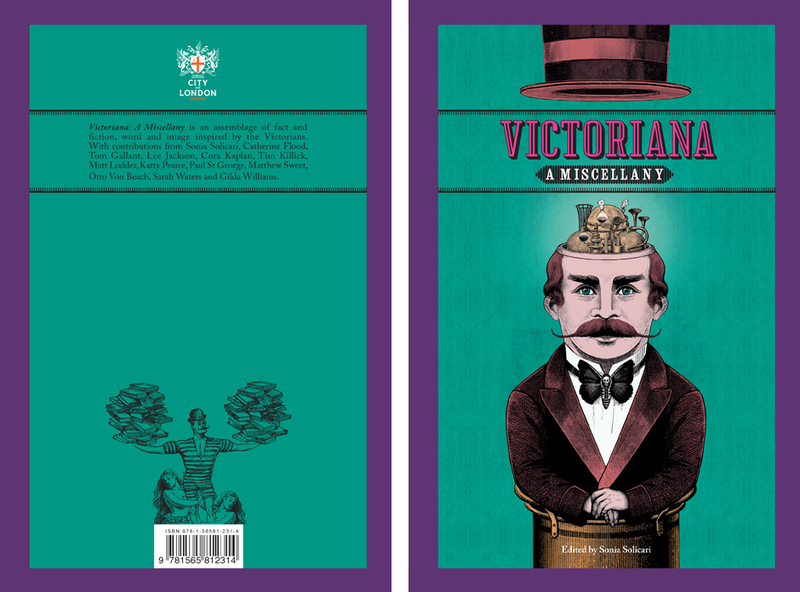 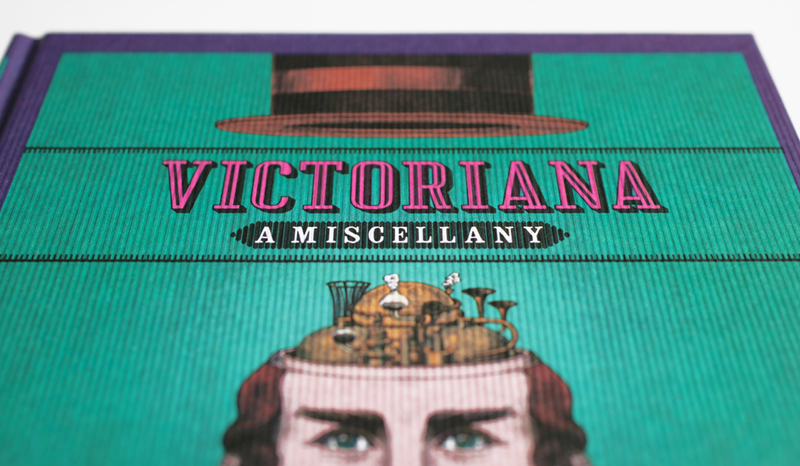 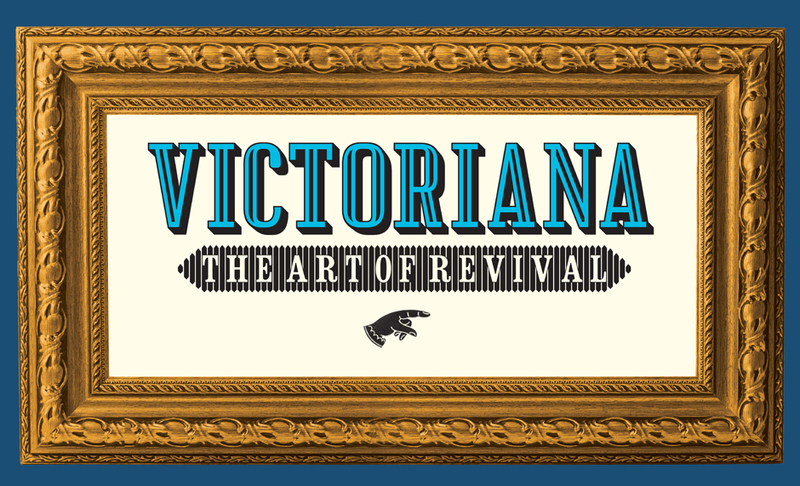 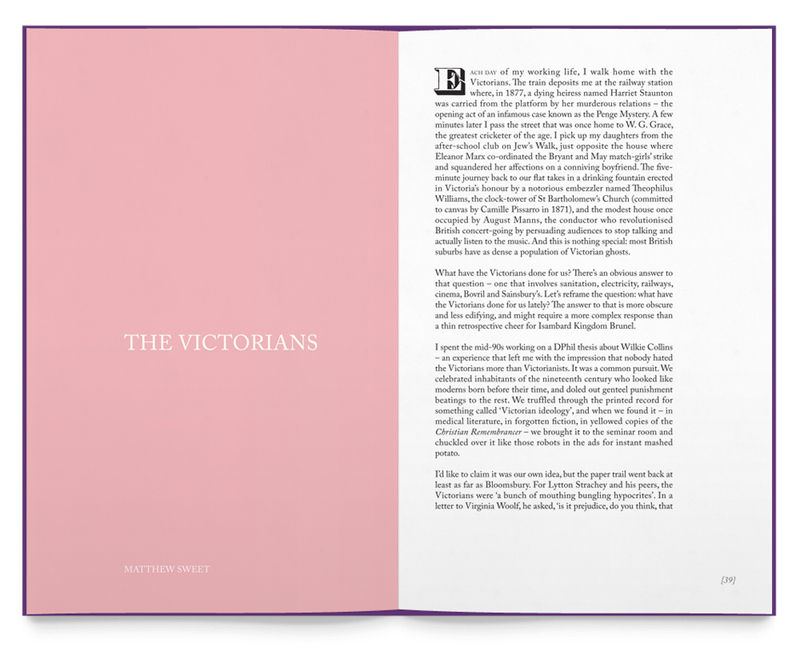 The exhibition identity, book design ‘Victoriana: A miscellany’, marketing materials, posters, advertising, ticketing and signs are designed to be expressions of the Neo-Victorian theme of the exhibition. 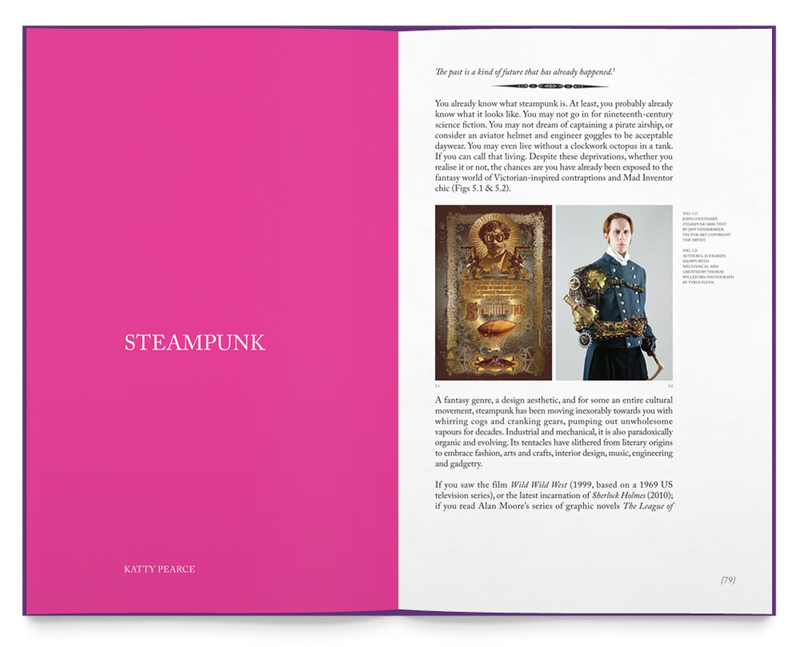 A steam punk-inspired character created by illustrator Otto von Beach ‘presented’ the book and appeared on posters and advertising. 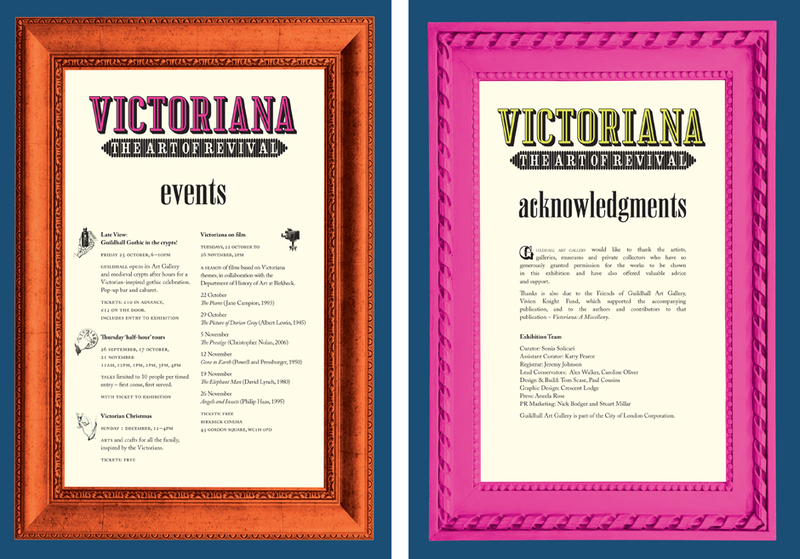 The sign design scheme comprised images of Victorian frames that were rendered in Neo-Victorian colours and which extended the typographic design.